The charts below show the latest fine-dining ingredient trends. Of the 30 most-used ingredients, peas and asparagus saw the greatest increases in usage from March to April due to the changing of the season. Lamb, fennel and garlic also saw large increases, while truffles, duck and almonds saw large declines in usage. While not in the top thirty ingredients, foraged foods such as ramps, morels, nettles and fiddleheads saw very large usage increases in April as they came into season. We have discussed these menu trends here. In the meat category, lamb extended its steady climb in usage, while chicken overtook beef as the most used meat ingredient. The use of squab and salami has also increased throughout the year, while the use of pork, duck, foie gras and venison has declined. In the seafood category, the use of arctic char, anchovies, halibut and branzino increased substantially during the month, while chef’s relied less on sea urchin, squid and cod. Scallop usage has also been steadily declining throughout the year. Seasonal changes caused several drastic shifts in vegetable usage over the past month, with peas and asparagus the largest beneficiaries. Shallots, cucumber and radish also saw substantial increases in usage. Apple, truffle, kale and cauliflower saw the largest declines in the produce category over the past month. In the herb category, corander, mint and fennel saw large increases in usage, however it was nettles, the foraged plant, that increased the most during the month. Sage and scallion were the herbs which saw the largest decrease in usage. As the season has changed, New York’s favorite winter nut, the chestnut, saw a drastic drop in usage. Walnuts, pecans, and hazelnuts also saw large declines. Bulghur usage, while still relatively low, now appears in three dishes, whereas it appeared in none last month. In the pasta category, the usage of risotto and bucatini has steady declined throughout the year, while the opposite is true of fettuccini. In the cheese category, riccotta and parmesan usage has been increasing over the past several months, while gruyere and gorgonzola usage has been steady declining. With the season changing from winter to spring, several delicious foraged foods have begun to appear in fields, forests, and fine dining restaurants. Ramps, morels, nettles, fiddleheads, and sorrel are the most common foraged plants utilized by chefs, and their usage on menus has skyrocketed during the month of April. We track the menus at one-hundred fine dining restaurants in NYC on a monthly basis, and the charts below show the number of times each spring-foraged menu item appeared in a dish on those menus. 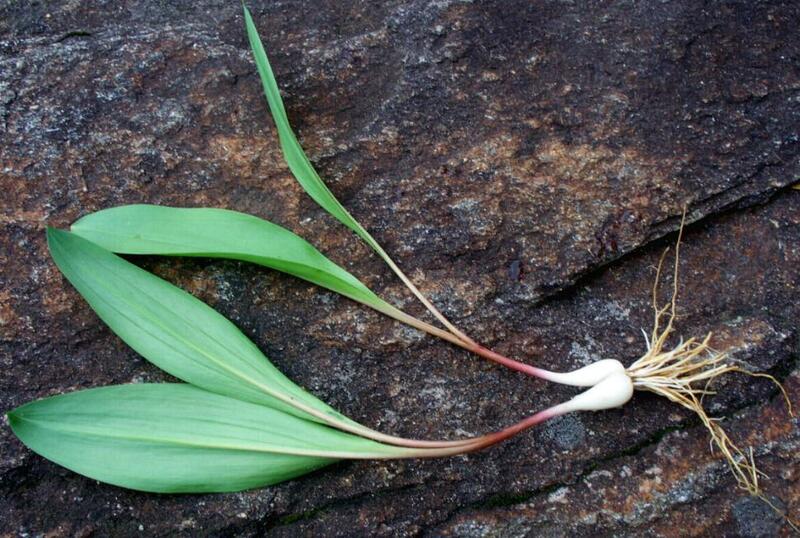 Ramps are the most popular foraged food on the menus that we track. The plant, also called wild garlic or wild leek, can be found in parts of the eastern United States in spring. The plant is often served in dishes either grilled or charred, but it is also commonly incorporated into sauces like pesto, remoulade, salsa, chimichurri and romesco. Chimichurri and romesco were both featured recently on The Trending Menu as sauces that are trending in 2017, so it is no surprise that ramps have been incorporated into the two sauces. Morels are the second most common foraged food appearing on the menus that we track. In the United States, morels are most commonly found in the Midwest and tend to grow on elm, ash, apple and poplar trees. Morels, a type of mushroom, are treasured for their unique nutty flavor and are commonly used alongside a wide array of ingredients including chicken, fish and pasta. Nettles are flowering plants predominantly found in Europe, Asia and the United States. The flavor of nettles has been described as similar to both cucumber and spinach. Nettles, also called stinging nettles, produce a stinging sensation when their needles come into contact with skin, but cooking the plant eliminates this problem. 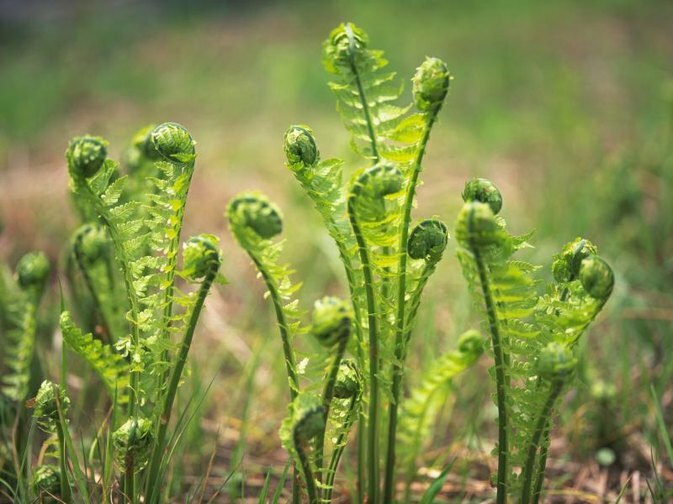 Fiddleheads are the fronds of a young fern that have not yet unfurled. Fiddleheads can be found in the United States, Europe and Asia, and carry a grassy flavor that has been described as similar to asparagus, artichoke and spinach. Sorrel is an herb found in grassland habitats across Europe, Asia and North America. The plant, with a sour flavor often compared to green apples or kiwis, is commonly paired with seafood and is frequently featured in soups, broths and marinades. 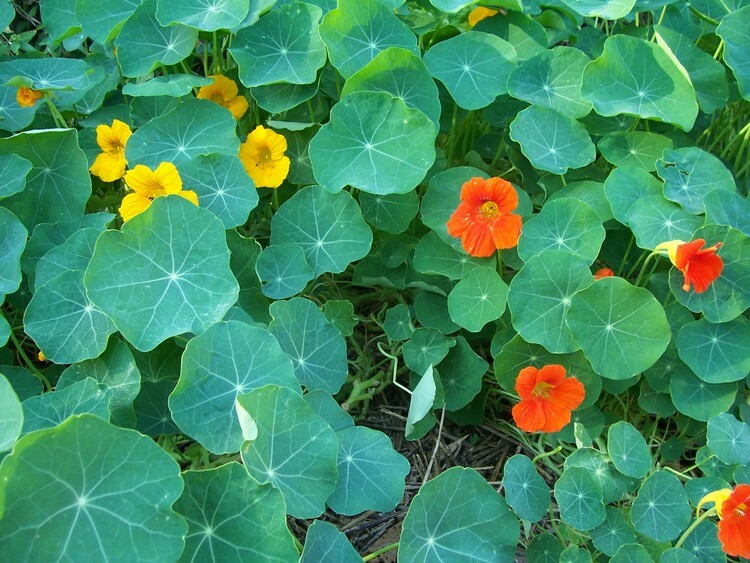 Other foraged ingredients used on the fine dining menus that we track include nasturtium, miner’s lettuce, and chickweed. 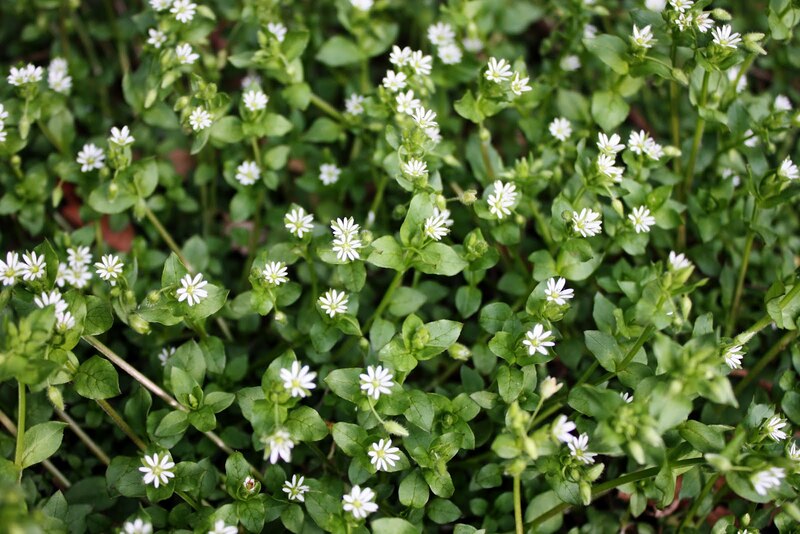 What are some other foraged foods that you have noticed? Do you think that ramps and morels have reached their peak for the year, or will more restaurants feature the ingredients in May? Nuts and nut flavorings are integral components of many cocktails. We track the menus at fifty of New York City’s most noteworthy cocktail bars, and these menus contain over eighty cocktails featuring nuts. These cocktails utilize ten distinct varieties, from walnuts and almonds to the lesser-known kola nut. The Dead Rabbit in NYC is the leader when it comes to using nuts in cocktails. In fact, the bar has nearly ten cocktails utilizing them. In addition to using shaved nuts as a garnish, bartenders use nut-based products including infused spirits, liqueurs, syrups, tinctures, butters and bitters. Found on the menus that we track, below are the three cocktails that have the largest nut influences, with each featuring multiple types of nuts. At the top of the list is Bonnie Vee’s ‘Marian Alexander’. Every ingredient in the concoction is nut based. 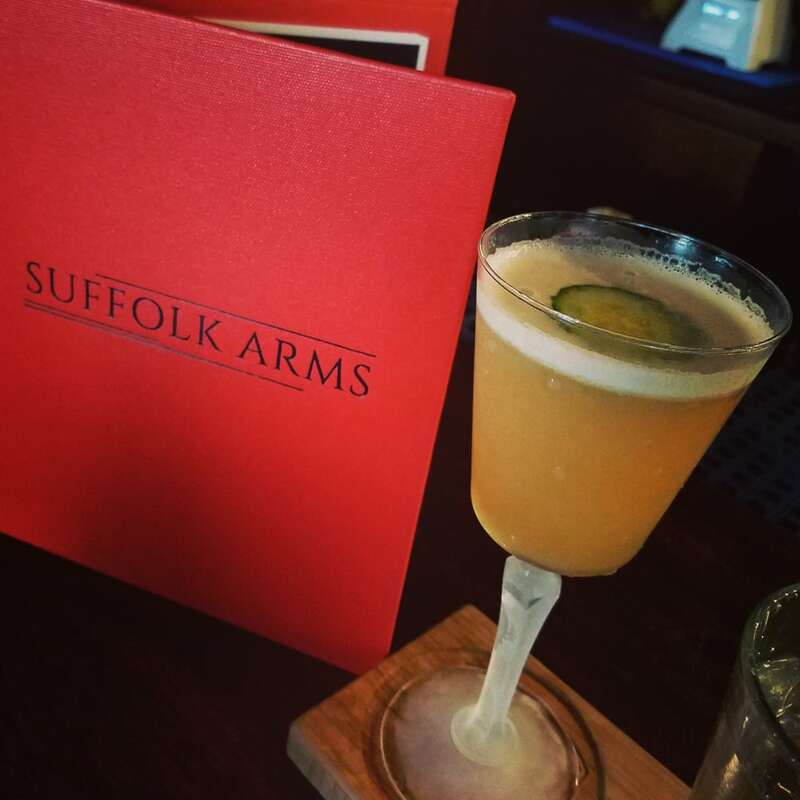 Below, we have listed the ten nut varieties used at the cocktail bars that we track and provided examples of cocktails that are currently being served. Each of the nut varieties bears a unique flavor profile and are commonly found alongside distinct sets of ingredients. Walnuts are used more commonly on the menus that we track than another other nut, used in twenty-two cocktails. The nut often appears alongside sherry and whiskeys, and is frequently paired with banana, maple syrup and coffee flavors. 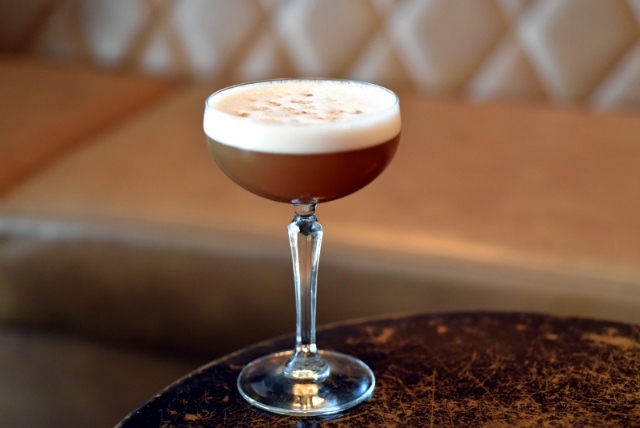 Walnut flavor is added into the cocktails in various ways, often introduced through either walnut bitters, the Italian walnut liqueurs Nocino and Nocello, or the Austrian walnut liqueur Nux Alpina. In some cases, shavings from the nut are simply added to the cocktail as a garnish. A distinction is often made on menus between black walnuts and ‘regular’ walnuts (known as English walnuts). Black walnuts have a strong, earthy flavor, and are far rarer than their traditional counterpart. The husk of the black walnut is much harder to crack, but when ground, it is commonly used for its health benefits. This hull powder is commercially available, and is used on one of the menus that we track. Additionally, coconut oil is also used to fat-wash the rum in Mace’s ‘Curry Leaf’ cocktail. The cocktail bar Mace serves more coconut cocktails than any other bar that we track, with four creations featuring the tropical nut. Perhaps unsurprisingly, rum is the spirit that is used alongside coconut flavor the most. Vermouth and sherry, both fortified wines, each appear in several coconut cocktails as well. Additionally, lime juice, pineapple juice and Angostura bitters are frequently used. Tied with coconut, almond flavor also appears in twenty cocktails on the menus that we track. In addition to pure almond shavings, other almond products used in cocktails include almond milk and Amaretto, an almond flavored Italian liqueur. On top of these twenty almond cocktails, many others include Orgeat, a syrup which is usually (but not always) made from almonds, sugar and flower water. Almond flavor is most frequently used alongside scotch, rum and absinthe. The flavor also works well with lemon juice and teas, including green tea and masala chai. See this link for a similar article on how fourteen types of tea are used in cocktails. In 2015, Eater noted a pistachio trend emerging in the cocktail world. Today, pistachio is the fourth most common nut featured on the menus that we track, used in syrups and tinctures. Instead of using an almond-based orgeat like most cocktail bars, The Up & Up utilizes a pistachio orgeat in several of its cocktails. 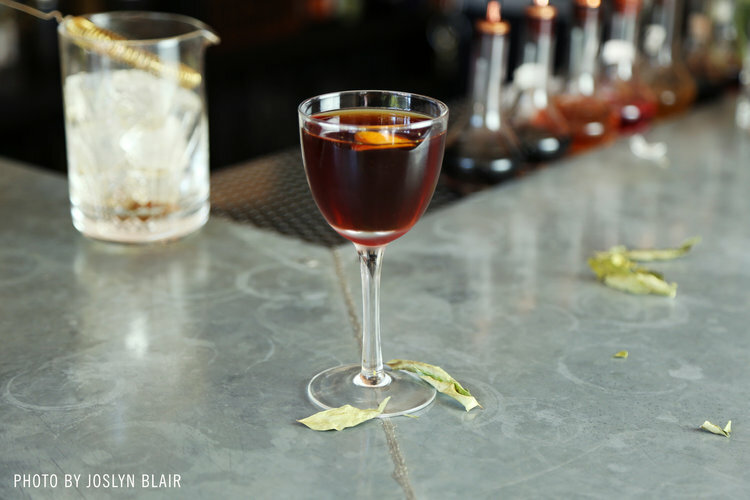 ZZ’s Clam Bar uses a pistachio tincture alongside gin, honey and cumquat. Pistachio flavor is usually found in rum cocktails, and other ingredients that are frequently found alongside pistachio include lime and cream. Of the five hazelnut cocktails on the menus that we track, the nut was used alongside brandy in two of them. Apple flavor is also found in two of the cocktails, with Seamstress using Apple Jack, and Clover Club using apple brandy alongside hazelnut-infused bourbon. On the menus that we track, there are two cocktails which contain peanuts. Both are whiskey drinks and include peanut butter. The kola nut, pictured here, is sourced from African rainforests and contains caffeine. The nut has been credited with multiple health benefits, and ‘cola’ – the sugary beverage – owes its name to the nut. Heading into 2017, many food experts predicted that yogurt (Bon Appetit and The Telegraph) and harissa (NRA and F&DR) would be rising stars during the year, but so far, three other sauces have stolen the spotlight: romesco, chimichurri and vegetable coulis. We track the menus at one-hundred fine dining restaurants in NYC, and the charts below show the number of times each sauce appeared on the menus. As you can see, these establishments have been adding romesco, chimichurri and vegetable coulis sauces to their menus at a rapid pace. In the sections below, we have given some background on the three trending sauces, and described new ways that chefs are using them. Romesco, was originally developed in Spain many years ago, but the orange sauce is still gaining popularity in the United States. Its foundation is typically roasted red peppers and toasted almonds. These ingredients are blended along with parsley, garlic, cayenne, paprika, red wine vinegar, and olive oil to create a thick, dip-like sauce with powerful flavor. Romesco, pictured here, has historically been used alongside fish, but it is currently being put to use in a wide variety of dishes. In fact, the sauce transports scrambled eggs from an everyday breakfast dish to a culinary star worthy of the menu at Bobby Flay’s Gato (the eggs are served with almond romesco, boucheron cheese, and tomato confit toast). Notably, Romesco is currently being used in many dishes featuring octopus, another menu item whose usage has escalated in recent years. Creative variations of the sauce include a ‘Hibiscus Romesco’ at Jean-Georges’ Perry St and a ‘Beet Romesco’ at Dan Barber’s Blue Hill. This flavorful green sauce is by no means a newcomer to the New York restaurant scene, but so far this year, several restaurants such as Park Avenue Spring and Cookshop have added the sauce to their menus. Chimichurri, pictured here, originates from Argentina and is most commonly used alongside various cuts of beef. The ingredients that go into a classic green chimichurri include parsley, oregano, garlic, oil and white vinegar. The garlic and herbs are finely chopped and mixed with the oil and vinegar. Red pepper flakes are often added as well for an extra kick. Although that’s how the sauce has historically been used, the creative chefs behind NYC’s fine dining scene have added their own flair and invented unique uses for Chimichurri. For instance, restaurants are re-tooling the sauce to play nicely with fish dishes like Park Avenue Spring’s ‘Seared Hamachi Crudo’ which is served with a grilled pineapple chimichurri, and Sea Fire Grill’s ‘Roasted Nova Scotia Halibut’ which is served with a kale chimichurri. Taking meat out of the picture completely, Vandal’s ‘Baby Beets’ dish features a chimichurri enhanced with shiso. A coulis is simply defined as a thick, but smooth, sauce made from puréed fruits or vegetables. The fruit variant is traditionally used as a garnish for dessert dishes, while vegetable coulis are commonly used in dishes showcasing seafood or red meat. It is the vegetable variety that has begun to appear on menus more frequently with restaurants such as Clement and Narcissa adding coulis to their menus in the past month. Coulis are typically produced by sautéing a chosen vegetable and adding a liquid such as broth or cream. Once the liquid is significantly reduced, the mixture is puréed and added to a dish, enhancing not only its flavor, but its aesthetic appeal as well. On the menus that we track, coulis are most often served alongside seafood dishes such as Asiate’s ‘Seared Icelandic Cod’ which utilizes a tomato coulis. Additionally, Narcissa is currently serving a ‘Roasted Dorade’ with a leek coulis. From a red meat perspective, Clement just introduced a ‘Rack of Lamb’ dish which is served with a bell pepper coulis. Not be left out, black truffle is used in a coulis in Batard’s ‘Celeriac Tortellini’ dish. So how do romesco, chimichurri and coulis fit into the broader sauce landscape? To add context to their increased usage, below is a ranking of the top fifty types of sauces used by chefs in NYC as of March 2017. For more tables like this, check out our food trend tracker (it is updated monthly). The charts below show the latest fine-dining ingredient trends. Of the 30 most-used ingredients, parmesan, ricotta, and almonds saw the greatest increases in usage from February to March whereas squash, apples and bacon saw the largest declines. These findings are displayed in the charts below. In the meat category, beef, lamb and sausage use steadily increased for the second month in a row. In fact, beef replaced chicken as the most used meat ingredient. On the other hand, duck, bacon, oxtail and suckling pig all saw their usage decline from February to March. On the seafood side, lobster and crab saw the largest increases during the month. Squid, octopus, mussels and fluke all continued to gain in March after also rising in February. Scallops and bass saw their usage decline considerably during the month. Seasonal effects likely had a large impact on the produce trends in March as the season is beginning to change. Nowhere is this more apparent than with the continued decline in squash usage. The vegetable declined from 107 menu mentions in January to 78 in March. Celery also saw a decline during the month, as its root was utilized less by chefs. Tomato, lemon, onion, and radish all saw gains during the month. When it comes to herbs, mint and paprika saw their usage rise, while fennel, basil, saffron, cilantro, dill and oregano usage declined. There was quite a bit of movement in nut usage during the month with almond and pistachio use increasing and hazelnut, pine nut and chestnut usage declining. Sesame usage increased during March while pumpkin seeds continued their decline. On the pasta side, the most dramatic movements were the increase in cavatelli usage and the decline in pappardelle usage. Spaetzle and bucatini both continued their steady decline in usage as well. When it comes to cheese, parmesan and ricotta both saw large increases during the month, while goat cheese and gruyere both saw their usage continue to decline in March. We track the menus at one-hundred of New York City’s most distinguished restaurants which has given us a unique perspective on ingredient sourcing. Although the farm responsible for producing a given ingredient isn’t always listed on a menu, it often is which has allowed us to track the sources of many meat products. Below, we have outlined the suppliers within each major meat category. Be sure to keep an eye out for our vegetable edition this summer. Creekstone Farms beef is proudly served at fifteen of the restaurants that we track, including Marc Forgione, Marea, and Red Farm. Creekstone Farms was founded over twenty years ago in Arkansas City, KS and has become a staple at fine dining establishments in NYC over the past decade. In fact, the majority of Pat LaFrieda’s beef is sourced from Creekstone Farms. The New York Times profiled Creekstone Farms in 2010 after its sudden rise to prominence. We counted Niman Ranch on the menus of six restaurants including Batard and Fowler & Wells. Niman Ranch was founded in 1969 and is based in Oakland, CA. The company works with a network of over 700 small farms to source its meat and recently received the humane certification from Humane Farm Animal Care. Perdue purchased the business in 2015 and the founder, Bill Niman, is no longer with the company. Ironically, Bill Niman is a vegetarian. Beef from Wrighteous Organics in Schoharie, NY is used at The Green Table. They are also the main beef supplier to Dickson’s Farmstand, a butcher shop in NYC located at Chelsea Market. Marcho Farms of Souderton, PA supplies veal to Per Se and was founded nearly fifty years ago. The company is also in the lamb business and claims to be the largest veal and lamb producer in the United States. Wagyu suppliers cited on the menus include Imperial Wagyu Beef and Miyazaki Wagyu. Imperial is based in Omaha, NE and supplies Daniel and Riverpark, while Miyazaki is based in San Francisco, CA and supplies Per Se. Imperial’s meat is sourced from farmers in the United States and Miyazaki imports its product from Japan. Other beef suppliers mentioned on the menus we track include Allen Brothers based in Chicago, IL (used at Crave Fishbar) and Snake River Farms based in Boise, ID (used at Per Se). Kobe beef has been mentioned on four of the menus that we track, and while no suppliers were credited, the beef is often highlighted as “American Kobe Beef” on the menu. Heritage Foods, based in Brooklyn, NY is mentioned as the supplier of pork ribs to three of the restaurants in our database including Mario Batali’s Del Posto. As the name suggests, the company focuses on heritage breeds, traditional breeds raised for generations, and they source their meat from small farms across the country. The restaurant Print has featured Raven & Boar pork on their menu. Raven & Boar is a farm in Columbia County, NY that predominantly raises the Large Black, Glouchester Old Spot and Red Wattle breeds. Heritage Farms based in Goldsboro, NC (not to be confused with the aforementioned Heritage Foods) supplies its signature Cheshire Pork to Black Barn. Heritage Farms also supplies its pork to restaurants in Japan. St-Canut Farms provides the suckling pig for Daniel’s “Cochon de Lait” dish. The Canadian farm specializes solely on the production of milk-fed piglets. Bacon providers include Neuske’s, Benton Country Hams and Roaming Acres Farm. Neuske’s, was founded in Wittenberg, WI during the great depression and specializes in producing applewood smoked bacon along with other specialty meat products. Also a long-tenured operation, Benton Country Hams is based in Madisonville, TN and was founded in 1947 by Albert Hicks, a dairy farmer who expanded his operation. A supplier local to NYC, Roaming Acres Farm is based in Lafayette, NJ and raises Berkshire Hogs in addition to bison and ostriches. Several farm-raised salmon providers have made it onto NYC menus. Atlantic Sapphire, based in Denmark, raises its fish with a land-based recirculating aquaculture system. The company recently received a strong rating from the Monterey Bay Aquarium which runs the Seafood Watch rating system. This fish breed is used by Oceana Restaurant. Atlantic Grill and Blue Water Grill both serve Joe Catalano’s “catch of the day.” Catalano runs a fish market on Long Island and was (and perhaps still is) the fish buyer for B.R. Guest Restaurants, the owner of both Atlantic Grill and Blue Water Grill. The Village Voice wrote an interesting profile on Catalano and the NYC fish buying industry. The chicken supplier that appears more than any other in our menu database is Sullivan County Farms. Their chicken appears on six of the menus, including Gabriel Kreuther, Atlantic Grill and Little Park. Sullivan County Farms is based in Smallwood, NY which lies in Sullivan County, just a two hour drive north of New York City. In addition to supplying pork to many NYC establishments, Heritage Foods is also mentioned as the chicken supplier to multiple restaurants that we track including Union Square Cafe and Print. When it comes to chicken eggs, Squire Hill Farm is the only egg supplier mentioned on the menus that we track. Squire Hill’s eggs have been featured at Per Se and Tocqueville Restaurant. Food & Wine published an interesting story about how Per Se began using Squire Hill Farm as a supplier after a sales e-mail from a 16 year-old. Hudson Valley Foie Gras supplies foie gras to ten of the restaurants that we track, including Bouley, Daniel and Per Se. Based in Ferndale, NY, their products are distributed by D’Artagnan and their sister company, Hudson Valley Duck Farm, can be found at farmers markets in NYC year round. While Hudson Valley Foie Gras provides foie gras to NYC’s top dining establishments, there are several other duck farms which provide duck meat. The Rohan Duckling breed, also distributed by D’Artagnan, appears on the menus at Craft and Le Coq. D’Artagnan is based in Union, NJ and the product is a hybrid species of heritage breeds. Liberty Ducks, based in the Bay Area, provides Per Se with its Pekin duck. The company was founded in 1992 by a fourth-generation duck farmer. On the menu at Nerai, there is currently a Duck Moussaka with the meat provided by Crescent Duck Farm, an Aquebogue, NY farm which is said to be Long Island’s last duck farm in operation. Per Se currently has quail on the menu which is sourced from Diamond H Ranch in Bandera, TX. The ranch raises Bobwhite quail in pens which are designed to keep them “as wild as possible.” Contact with humans is minimal and “vegetation in the pens provide cover, supplemental food, and obstacles to fly over encouraging wing strength.” Quail (either meat or egg) is currently offered on seventeen of the one-hundred menus that we track. Squab from Thomas Farm is currently on the menu at Le Coq, but it has also been featured at Daniel, Picholine and Per Se. Squab, a young domestic pigeon, is currently offered on eleven of the menus that we track. Turkey, goose, pheasant and guinea hen also appear on the menus, although no farms or suppliers have been credited as of yet. Blue Water Grill serves a lamb shoulder sourced from Lava Lake Lamb in Hailey, ID. The animals at Lava Lake are grass fed and graze on a range that is nearly one million acres in size. The farm sells many lamb-based products, including lamb dog treats. In addition to providing beef to many restaurants, Niman Ranch also supplies lamb to Jean Georges. While no other lamb providers are listed on the menus in our database, Colorado is credited as the source of the lamb used in nine dishes. The Denver Post wrote an interesting article on why Colorado lamb is the preference of chefs thousands of miles away. Vension is currently being offered on thirteen of the one-hundred menus that we track, with Millbrook Venison Products credited twice and Highland Farm credited once. Millbrook Venison Products, based in Millbrook, NY, raises three different species of deer and harvests their animals on-site. Highland Farms was founded in 1989 and is based in Germantown, NY. In addition to deer, they raise bison, mouflon lamb and ostriches. They sell several unique venison products including venison jerky. We will continue to add to the list of meat suppliers as more are named on menus. What farms have you seen mentioned recently?